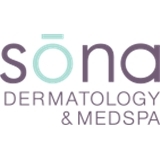 Sona Dermatology & MedSpa (Raleigh) - Book Appointment Online! Very friendly and professional staff. Love the doctor I saw, she was encouraging and created an entire treatment plan for me in my first appointment. Will definitely be back. I think the doctor is very replaceable, and knowledgeable in his area, would recommend to any of my family or friends.